Some may not be old enough to remember that before British Airways launched their Amex card, the only way to earn Air Miles (as they were known in those days) was with the BA Diners Club card back in the 90’s. The prepaid Mastercard is handy for places that don’t accept Amex. All airlines seem to accept DC although I always use my Amex card for the travel delay and baggage insurance that it provides. I did manage to spend quite a lot on the Diners Club itself, it’s accepted by hotels.com. I am old enough to remember the day that Air Miles were launched in this country, as I had just stopped doing long journeys that would have earned a lot of miles. As I remember it. the main initial ways to earn miles were Sainsbury’s and NatWest credit cards. I had a quick look and it seems to have been 1992 when Natwest stopped giving them. I remember the launch too. It struck me as a masively unlikely-to-work promotion, but my partner was hugely in favour, and as well all know, it did work. Ironically, she is much less bothered now, though she still gets waves of enthusiasm. She would put everything onto her Access Card to get AirMiles – not sure if it had to be a NatWest Access. Later we had to get NatWest Visa cards costing £20 / yr to keep going. We were getting loads of Sainsbury’s points, which had to be converted into AirMiles, but the real pain with the Sainsbury’s scheme was each shop had its own cards, and you could only redeem points for AirMiles at the shiop whose location was embossed on the card. I have vivid memories of buying huge numbers of Chicken Kievs at Cameron Toll, Edinburgh when these had a big bouns points offer, but I had at least two other Sainsbury’s cards too. The other launch partner I remember was Debenhams – I once got invited to a pre-sale ‘event’ where there were loads of cheap offers carrying huge numbers of AirMiles. One big advantage in those days was that they were all paper vouchers, so no problems with combining with other people. My parents rapidly became disillusioned and gave me all their vouchers. … and a BA Diners Club card is still offered in Switzerland, as well as gold and standard MasterCards. All fron Cornercard Switzerland. I’m still waiting for the lounge access vouchers and I signed up for the card early on. My experience of their customer service so far is, frankly, awful. I’ve emailed in a couple of chasers on things like the 10k bonus not arriving, card not arriving, lounge vouchers not arriving and whilst they do reply quickly, they seem totally incapable of doing anything but saying “wait a bit longer”. This feels like a product rushed to market. That said it does protect my LH balance. “This feels like a product rushed to market.” More like a last throw of the dice. Diners Club are the HMV of the card market. I received my M&M miles from my Hilton stays. Have you sent Hilton a screen shot of your receipts from your stays? Is try that first. Jon, I’m In the same boat as you… Miles for all but one of my stays have credited. The one that hasn’t was for a stay that happened during Hilton’s systems downtime at the end of October. When you made your claim to Lufthansa, did you tick on the box which says “miles received for the stay but promotional miles not received” – or words to that effect anyway!? If not, then I suggest you do that, even though you didn’t get any miles for the stay itself. It should flag to Lufthansa that it’s promotional miles that you are missing and not miles directly from a stay. I have a stay which Hilton refuses to credit which in theory will trigger 2,500 – not holding out much hope now though! I have the same issue – 2 x Hilton stays at the end of Oct. M&M miles showing on the Hilton app – but have not been transferred to the M&M account. Must have spent 30+ mins on phone to Hilton Diamond line last night. (This was the second call – I first spoke to them and raised a case in early Dec.). They now say they have escalated internally and will email me with an update – but not holding my breath. Is there anything else I should try? @JAD – I’ve been trying to escalate a complaint (on a separate matter) via email for months with no success – my emails just get ignored, including ones sent to various Directors and VPs of Customer Service. Will try CEO next (addresses sourced from https://www.elliott.org/company-contacts/hilton/ which may or may not be accurate of course, but none have bounced back so far…). Same here! They ignore my chaser email’s and when, in frustration, I speak with them, they say that they’ll look into it and have then come back on the last two instances to say that I registered for the promotion the previos day!!! Quite frankly I’ve just given up as they seem to be totally incompetemt on this one! The lounge vouchers come as an attachment to a later e-mail. Mine took 5-6 weeks to arrive. 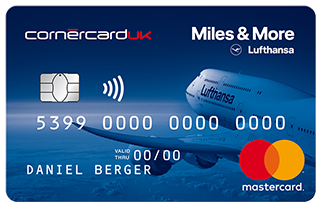 Theoretically available for 12 months for use by ‘the primary Miles & More credit card holder or a travel companion for one (1) visit to Lufthansa Business Lounges worldwide …’ . ‘Worldwide’? Germany yes, of course, otherwise meagre. The reference number includes expiry date and my M&M membership number. Problem with this lounge voucher is that it does not apply to Star Alliance flights but only to Lufthansa group flights. I doubt I will fly on any Lufthansa Group flight any time soon unless there’s some great promotion. Was hoping to use it when flying SAS. Regarding customer service, they called me after spotting that my Diners card was rejected twice and told me I didn’t activate it. I thought activating Mastercard was enough and didn’t bother with Diners. Service seems to be very personalised. I no longer have Priority Pass membership with an AmEx plat since their ’embellishments’ (= reduced benefits) of a few years ago, so I’m thinking the DC lounge service (£15 a go) may be a reasonable alternative for us, more so for easyJet passengers. I see Groupon have another PP offer, but for us DC has the edge. Also, as soon as my online account shows plat, do I use my gold card as plat card? Immediately if you’re accepted, and yes use gold as Plat until your card arrives a few days later. Needless to say your current gold card is the charge card (not the credit card)? Actually applied for this yesterday. Thought I’d give it a go and build up a lufthansa balance with it plus the SPG card. “You MUST repay your balance in full each month. Like almost everywhere in the world except in the US and in the UK maybe. It is almost what happens if you have a vueling or british airways card in France. That was what I tried to explain in a previous post about the launch of the vueling card in France. The UK and the US have more flexibility for means of payment of balance due on cards. Tomorrow is the last day for paying Amex directly by cheque. You will still be able to go into a branch of your own bank and pay by a combination of cheque and Bank Giro. Cheques? I think they are bound to die fairly soon. I think that I have used just one this last year. Yep used one this week and last time I’d used the chequebook was in 2016! Are you sure – that doesn’t sound right at all. No country I’ve lived in has operated that way, and I don’t know how so many countries will have large average credit card debts if they require payment in full. 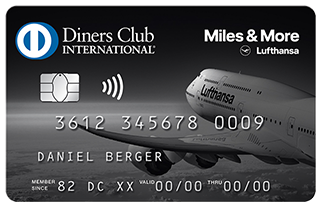 I have 2,500 Miles & More from one Hilton stay and don’t fly with Lufthansa often but I’m tempted to get this card just for the novelty of having a Diners Club card! I know it’s a bit sad but that’s part of the draw for me too. > Cornercard is a Swiss bank which offers a Lufthansa-branded card in Switzerland. Cornèr Bank Group is an independent Swiss private bank, based in Lugano. Cornercards in Switzerland are issued by Cornèr Bank. Cornercard UK Ltd seems to be the only company called Cornercard. The bank also owns Diners Club Italia S.r.l. They also have a separate Swiss subsidiary bonuscard.ch which issues Visa Cards, which earn points which can be used for flight on Swiss, rail journeys on SBB and a number of other things. Same thing for me, I had seven eligible stays, had one on 23rd October which credited, the one from Gatwick on 29th has not. For me, Diners lost their way years ago ….. it had it use then, albeit limited, and we still play with the Roulette they sent me, but I can’t remember why. There seems to be a fairly obvious commercial opportunity here for Curve to extend their premium £50 a year card offering to also allow spend to be recharged to a Diners Club card as well as to Amex. I was considering whether or not to pay for the premium £50 per annum Curve card as I had nearly used the £10,000 annual spend on the free Curve card but then suddenly and in one fell swoop (with no warning when Luke at Curve had suggested its limits would slowly increased bit by bit but this never happened in the previous 9 months) Cuve upped my spend cap on the free card to £50,000 instead of £10.000 But I had to get to almost £9,000 of spend over about 9 months of use before they suddenly did this completely out of the blue. The only actual benefit of the premium Curve card seems to be no fee for recharging spend to Amex (within the caps) and fee free overseas use at all times (rather than only Monday to Friday) plus substantially larger spend caps for overseas use (including cash withdrawals) than on the free card. However as I have now earned another flight upgrade voucher on my Lloyds Rewards card and have no hope of earning another one before it is killed off I really must get mysellf a BAPP Amex or Amex Preferred Rewards Gold card at some point but as Lloyds still gives me 1.2 Avios per pound spent on the Amex card there only seems any hurry to do so if go for the BAPP Amex card. (1.5 Avios per pound spent) Changing to the Amex Preferred Rewards Gold card would actually give me less Avios per pound spent. Anyway the free Curve card also allows recharge to Amex too but with an 0.7% fee, which may be worth it to make sure of hitting the introductory sign up bonus on either of the Amex cards….. It says at https://discoverglobalnetwork.com/diners/travel/guides/acceptance-map/ that acceptance of Diners is the same as Discover and at a Medium level in the UK (seems to be High in USA, Eastern Europe, many parts of South America, Japan, India and bizarrely enough Kazakhstan). I only generally ever seem to notice Discover card logos in petrol stations on the whole but then again many places that take Amex don’t actually show the Amex sign………..
“Where can Discover cards be used in the UK? Despite lacking a local UK presence, global Discover card users are well served in the UK. A partnership with the Link ATM network enables Discover cardholders to withdraw cash in around 60,000 places throughout England, Northern Ireland, Scotland and Wales. So it seems like Diners Club acceptance would not be that different from Amex acceptance in the UK in practice? My late father used to very proud of his Diners Club card back in the late 1970s so it seems weird they have allowed the brand to wither this far. Surely either kill Diners Club and make it all Discover worldwide or otherwise start pushing Diners Club big time at the same level as Amex would surely be the logical commercial strategy? I’d get the job, not you, Julian. You mean due to your less loquacious and more to the point writing style? I learned at the HfP christmas party that one of the applicants for the job edited two well known travel related publications but only earned about half of what Rob was paying. On the other hand I wonder if someone of that level of experience wouldn’t also have issues functioning as Rob’s subordinate, just as I undoubtedly would. So it will be interesting to see who Rob finally appoints for the permanent assistant job. Also a pity that almost none of the regular contributors to this discussion blog were there apart, allegedly, from Genghis. However apparently Genghis was using some other name (possibly his real name and I also never met him in the three and a bit hours or so I was there as Rob never introduced me to him, even though I did talk to Rob on two different occasions. Cat was there, Genghis was there, off the top of my head. I never actually went through the list to see who was on it. Also my INTP personality type (on the Myers Briggs scale) has made me less and less employable in the modern must always stay on corporate message business world. So I probably wouldn’t be Rob’s cup of tea from that point of view anyway at this point in my career. But I reckon it was exactly the right kind of job for the 25 to 33 year old version of myself…………. I’ve found the administration for this card very friendly but incredibly slow. The telephone lines are only open Monday to Friday (which is a PITA because you have to phone them to activate the cards and are restricted to these days) and they’ve been overwhelmed by demand for the card – I have been told a number of times though that the 10000 points offer is extended to the end of February to reflect this. It’s frustrating that you have to wait for the Diner’s Club card to arrive and be activated before you can use the MasterCard but I’m hoping to finally be able to use the damned thing by close tomorrow. How long did it take for your card to arrive after applying? I applied about a week ago, any idea when I should expect to hear from them? I see a credit check was made on 15/11/18. The first year’s sub was already charged to the account on 17/11/18 and subsequently paid by d/d. It seems trigger happy to charge an annual fee when the cards weren’t avallable for retail use. It took 3 weeks for the cards to arrive – Mastercard arrived first and then the Diner’s Club. From their web page at http://www.dinersclub.co.uk it seems that the Vanilla non co-branded Diners Club card is now a business expenses only oriented product and not available as a personal card. But given the issues that Amex has run in to with co-branded cards (even the BA Amex) over the interchange fees cap I wonder how this dual Diners and Mastercard product manages to get around that rule?